Outspoken, professional and fearless, Lt. Col. John Paul Vann went to Vietnam in 1962, full of confidence in America's might and right to prevail. He was soon appalled by the South Vietnamese troops' unwillingness to fight, by their random slaughter of civilians and by the arrogance and corruption of the US military. He flouted his supervisors and leaked his sharply pessimistic - and, as it turned out, accurate - assessments to the US press corps in Saigon. 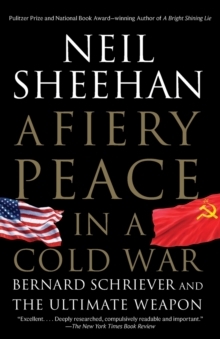 Among them was Sheehan, who became fascinated by the angry Vann, befriended him and followed his tragic and reckless career. 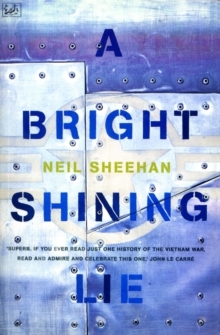 Sixteen years in the making, A Bright Shining Lie is an eloquent and disturbing portrait of a man who in many ways personified the US war effort in Vietnam, of a solider cast in the heroic mould, an American Lawrence of Arabia. Blunt, idealistic, patronising to the Vietnamese, Vann was haunted by a shameful secret - the fact that he was the illegitimate son of a 'white trash' prostitute. Gambling away his career, Vann left the army that he loved and returned to Vietnam as a civilian in the pacification programme. He rose to become the first American civilian to wield a general's command in war. When he was killed in 1972, he was mourned at Arlington cemetery by leading political figures of the day. Sheehan recounts his astonishing story in this intimate and intense meditation on a conflict that scarred the conscience of a nation.